Hey Dad, How’s The Ol’ Ticker? We want you to be the best dad (& husband) you can be! Staying heart healthy just might need to be numero uno on your “honey do list” since keeping that cardiovascular system in optimal condition will keep you active, no matter your age. The essential fatty acids are named "essential” because our bodies cannot make them (like vitamins and minerals), so they must be consumed in the diet or through supplementation. There are three main omega-3 oils. Alpha-Linolenic acid (ALA) is the only true essential omega-3, but because our bodies are so inefficient at converting ALA into eicosapentaenoic acid (EPA) and docosahexaenoic acid (DHA), EPA and DHA are also considered essential. While ALA does have some functions in the body, EPA and DHA are essential to more actions in our bodies and play critical roles in heart and overall health. Start with cold-water fish: Eat two servings of cold-water fish a week. Since many fish are not sustainably fished and others don’t have enough omega-3, the best fish to provide you optimum omega-3 content are wild salmon, mackerel, sardines, anchovies, black cod, wild trout, and albacore tuna. 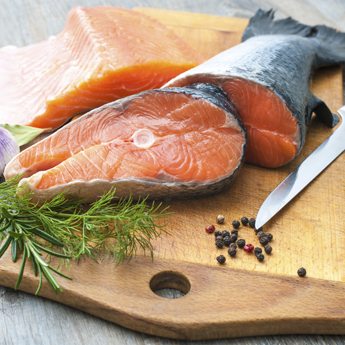 Supplement: Take a daily omega-3 supplement. Take enough to supply approximately 1,000 — 2,000 mg of fish oil a day. 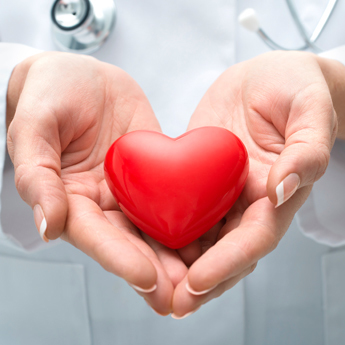 If you have a heart condition, talk with your health care provider and consider taking up to 2-4 grams a day. With a little attention, Omega-3 deficiency is an easy thing to avoid. The potential heart and overall health benefits are many. 1Danaei G, Ding EL, Mozaffarian D, et al. The preventable causes of death in the United States: comparative risk assessment of dietary, lifestyle, and metabolic risk factors. PLoS Med. 2009 Apr 28;6(4):e1000058. PubMed PMID: 19399161.2http://www.heart.org/HEARTORG/GettingHealthy/NutritionCenter/HealthyEating/Fish-101_UCM_305986_Article.jsp#aha_recommendation3Miller PE, Van Elswyk M, Alexander DD. Long-Chain Omega-3 Fatty Acids Eicosapentaenoic Acid and Docosahexaenoic Acid and Blood Pressure: A Meta-Analysis of Randomized Controlled Trials. Am J Hypertens. 2014 Mar 6. PMID: 24610882.4McKenneyJM, Sica D. Role of prescription omega-3 fatty acids in the treatment of hypertriglyceridemia.Pharmacotherapy. 2007 May;27(5):715-28.. PMID: 17461707.5Massaro M, Scoditti E, Carluccio MA, et al. Omega-3 fatty acids, inflammation and angiogenesis: basic mechanisms behind the cardioprotective effects of fish and fish oils. Cell MolBiol (Noisy-le-grand).2010 Feb 25;56(1):59-82. PMID: 20196971.6Kar S. Role of omega-3 fatty acids in the prevention of atrial fibrillation.Rev Cardiovasc Med. 2013;14(2-4):e82-91. PMID: 24448258. Fish oil is well known for its ability to help reduce the risk of heart disease, but those are not the only benefits of fish oil. Recent research has focused on the Omega-3 oils EPA and DHA, and has come to some interesting conclusions. Pregnancy: The importance of EPA and DHA for the normal development of a baby cannot be overstated. The essential fatty acids help with normal brain, eye, and nervous system development. 7 A high concentration DHA is found in eyes and brain. Dietary or supplemental DHA is needed for the optimum functional and maturation of the retina and the visual cortex and is especially important for the growth and development of a child. 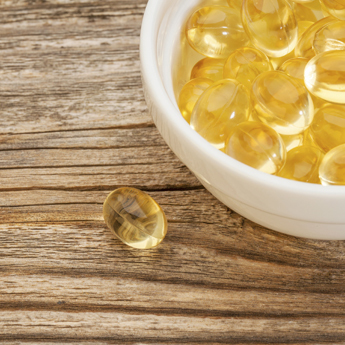 When thinking about fish oils, think beyond the cardiovascular benefits. Make sure you are eating fish 2-3 times a week or supplement with a good quality fish oil. 1Chang CY, Ke DS, Chen JY. Essential fatty acids and human brain. Acta Neurol Taiwan. 2009 Dec;18(4):231-41. PMID: 20329590.2Giles GE, Mahoney CR, Kanarek RB. Omega-3 fatty acids influence mood in healthy and depressed individuals. Nutr Rev. 2013 Nov;71(11):727-41. PMID: 24447198.3Uauy R, Dangour AD. Nutrition in brain development and aging: role of essential fatty acids. Nutr Rev. 2006 May;64(5 Pt 2):S24-33; discussion S72-91. PMID: 16770950.4Lopez HL. Nutritional interventions to prevent and treat osteoarthritis. Part I: focus on fatty acids and macronutrients. PM R. 2012 May;4(5 Suppl):S145-54. PMID: 22632694.5Miles EA, Calder PC. Influence of marine n-3 polyunsaturated fatty acids on immune function and a systematic review of their effects on clinical outcomes in rheumatoid arthritis. Br J Nutr. 2012 Jun;107 Suppl 2:S171-84. PMID: 22591891.6James M, Proudman S, Cleland L. Fish oil and rheumatoid arthritis: past, present and future. Proc Nutr Soc. 2010 Aug;69(3):316-23. PMID: 20509981.7Rogers LK, Valentine CJ, Keim SA. DHA supplementation: current implications in pregnancy and childhood. Pharmacol Res. 2013 Apr;70(1):13-9. PubMed PMID: 23266567.8Nicolaou A. Eicosanoids in skin inflammation. Prostaglandins Leukot Essent Fatty Acids. 2013 Jan;88(1):131-8. PMID: 22521864.9Gurzell EA, Teague H, Harris M, Clinthorne J, Shaikh SR, Fenton JI. DHA-enriched fish oil targets B cell lipid microdomains and enhances ex vivo and in vivo B cell function. J Leukoc Biol. 2013 Apr;93(4):463-70. PMID: 23180828.10Calder PC. n-3 fatty acids, inflammation and immunity: new mechanisms to explain old actions. Proc Nutr Soc. 2013 Aug;72(3):326-36. PMID: 23668691. Following dietary suggestions to consume 2-3 servings of fish a week – especially cold water, oily fish – is good advice to ensure adequate EPA/DHA, but most consumers do not eat fish that frequently. Many consumers are concerned about the risk of contaminants in many common fish. In fact, many consumers question whether the health benefits of eating fish outweigh those of eating fish that could contain mercury, lead, or other toxins. Recent reports do suggest that there may be cause for concern about the quality of our fish. Imported seafood accounts for around 80 percent of the fish we consume, and according to the U.S. Government Accountability Office (GAO), only about 2 percent of imported seafood is inspected (and only 0.1 percent is tested for banned drug residues). Farmed fish seems to be no better with many of these fish containing PCB’s and other chemicals with serious long-term health effects. While mercury is certainly a concern, fish may also contain lead, arsenic cadmium, dioxin or other toxins. With all of these concerns, many people turn to supplemental fish oil as a solution. When fish oil is properly processed, contaminants can be removed or reduced to levels where they should not pose a risk. Molecular Distillation: This process places the fish oil under a vacuum, which allows it to boil at a much lower temperature (protecting it from damage). Molecular distillation allows for EPA and DHA to be removed and the heavy metals left behind. A benefit of the process is that the EPA/DHA is concentrated and fishy odor/taste is reduced. When done correctly, molecular distillation is capable of reducing the toxins in fish oil to levels considered to be safe by the EPA and other agencies. Sustainability: Fisheries must be managed to ensure we have a good source of fish oil well into the future. Friends of the Sea is an international conservation organization that sets strict criteria for sustainability. Friends of the Sea only certify products made from fish stocks that are not overexploited. Attention is paid to population size and catch limits and avoiding harvesting at spawning time. Get your high-quality Shaklee "OmegaGuard” here today!